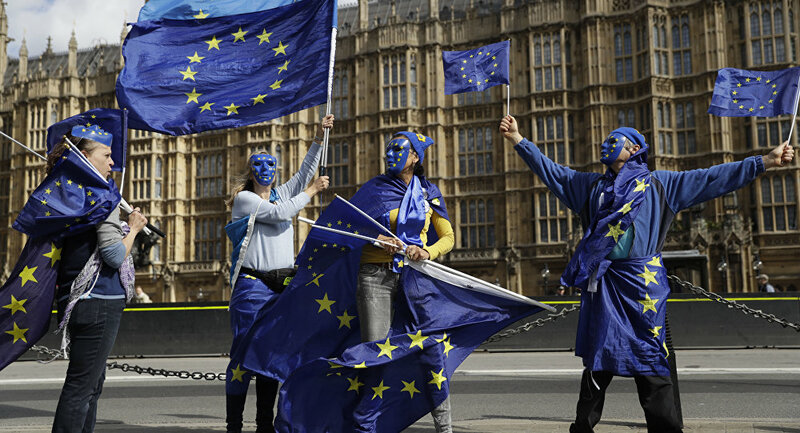 A new analysis of polling seen by The Guardian says that more than 100 UK constituencies, which backed Brexit in a landmark 2016 vote, would now vote for staying in the bloc. The figures were produced by consumer analytics company Focaldata, which modelled two YouGov surveys of more than 15,000 people. The findings posit that two years since the 2016 referendum, 112 out of the 632 constituencies in England, Scotland and Wales have switched from Leave to Remain, including 97 English seats, 14 in Wales and one in Scotland. Under the Focaldata model, 341 constituencies now make up a majority of voters who want to stay in the EU (53 percent), up from 229 seats two years ago. Growing Remain sentiment among the Labour Party voters in the north of England and Wales supposedly contributed to higher numbers of Remain-backing constituencies. The findings are expected to build up pressure on Labour leader Jeremy Corbyn to reconsider his refusal to back a second vote on Brexit. There are around seven months left for Britain to negotiate a deal with Brussels before its scheduled departure from the European Union. Prime Minister Theresa May prepares to resume talks with Brussels later this month, which stalled on the post-Brexit customs arrangements and the Irish border issue. Britain, which is expected to leave the EU customs union after the transition period ends in 2020, wants to negotiate an agreement that would enable it to arrange its own trade deals with other countries. Moreover, London aspires to avoid a hard border between Northern Ireland and the Republic of Ireland and has rejected the EU's proposal to keep Northern Ireland within the single market, citing constitutional integrity concerns. If the negotiations don't work out, the UK faces a no deal outcome next March, which would damage the country's GDP and could cause shortages in food and medicine.